Baggiolegal is a specialist Adelaide law firm. Our expertise is commercial, taxation and private client law. When you come to us, expect something different. We take custody of your legal issues as if they were ours, creating lifelong, long term relationships with you. Expect an advocate that is straight-talking, loves what he does and is passionate about it. Of course we are excellent at what we do; intelligent, experienced and commercial. But more importantly, we are human. "I’m not your run of the mill lawyer. I am as comfortable in a pair of flip-flops as I am in a pin stripe suit. Of course, I am good at what I do; more importantly, I’m a human being first and a lawyer second. I’ll put you at ease, understand your concerns and speak your language. You can expect plain talk and straight answers." Andrew is an internationally experienced and highly regarded commercial/ transactional lawyer. He is a specialist in Commonwealth and State taxes, superannuation and trusts. He is recommended by Doyle's Guide to the Australian Legal Profession as a Leading Tax Lawyer in South Australia. He has vast experience advising on structures/ strategic issues and complex succession planning for businesses and high net worth individuals. This combination provides a formidable pedigree for commercial, taxation and private client law. Andrew speaks the language of business people. He speaks his mind. He creates solutions. His radar, judgement and intuition are extraordinary. This is why his clients value him. He advises clients in the same manner that he would wish to be advised – clearly and without jargon, distilling simplicity from complexity, weighing risks against likely returns and providing a roadmap for informed decision-making. Andrew is as comfortable discussing complex matters with other specialists on a technical level as he is discussing commercial and family business issues with clients on a personal level. Andrew’s combined experience as a commercial, taxation and private client lawyer is invaluable in a world where tax lawyers work within an academic vacuum, commercial lawyers are ignorant to tax opportunities and consequences and private client lawyers have little understanding or experience of commercial law, structures and tax/ superannuation. Andrew has over 20 years domestic and international experience as a lawyer. Before returning to Adelaide in 2005, Andrew worked as a commercial and tax lawyer in international law firms in London, Melbourne and Hong Kong. He has worked on secondment in an investment bank and as a tax accountant with an international accounting firm. Anthony spent many years assisting counsel in commercial and other litigation. As a second generation practitioner, he has an innate understanding of the legal profession, commercial world and the complexities and uncertainties a client faces in any legal matter. Having been involved in a broad range of areas including commercial litigation, competition and consumer law, family law, conveyancing, privacy law and succession planning, Anthony has found his call with Baggiolegal and its commercial, taxation and private client law specialities. Anthony strives to understand his client's needs and concerns and address them in a straightforward and effective manner. With his experience in litigation, he has seen numerous examples of the risks and consequences a client may be exposed to and the best practice solutions to avoid these issues. Through these experiences, he has developed great strengths in overall strategy and big picture vision along with a wide set of tools to assist and guide a client through commercial/ transactional situations. His expertise, passion and dedication to his clients and his enjoyment in always expanding on his legal and commercial knowledge and expertise, allow Anthony to be a valuable asset to any client. Hope and Eimear are an integral part of Baggiolegal. Chances are, your first conversation or interaction with us will be one of them. Together, they provide a warm welcome to our clients and the glue that binds our firm together. Hope has been with Baggiolegal since 2007. She is our office administrator. Hope has an Advanced Diploma in Conveyancing. Eimear is our practice administrator. She troubleshoots across the firm, from regulatory compliance, to public relations, to HR management. Eimear has a Bachelor in Laws (LLB) and significant experience working as an investment banker in Adelaide, London and Asia. We manage your risks, provide certainty and create solutions for you by providing excellent and intimate legal services. We provide clarity and peace of mind. We assist our commercial and tax clients to traverse the business cycle - from planning and structuring, through managing growth, risks and opportunities through preparing for, and implementing, an orderly and rewarding exit by sale or succession. We assist our private clients to navigate complex laws and issues that affect themselves, their families and their entities. This includes assisting with asset protection strategies, estate planning, superannuation and the transition and succession of wealth and structures. Our commercial law practice is broad. We assist at each stage of the business cycle: from planning, conception and commencement, through the life of a business and according to the needs of the business and, ultimately, until the succession, sale or orderly winding up of the business. We represent counterparties, be they purchasers or sellers, borrowers or lenders, lessors or lessees etc. in all manner of commercial transactions. We prepare and negotiate a broad range of plain English commercial documentation for businesses in connection with their transactions, to manage risk and to govern their internal and external relationships. We advise businesses in respect of their legal and regulatory obligations. We have particularly strong relationships with, and provide a broad range of legal services to, accounting firms and financial planning firms. Our principal, Andrew Baggio, has practised tax law for over 20 years in Australia, the United Kingdom and Hong Kong. Before practising as a tax lawyer, Andrew worked with an international accounting firm as a tax accountant. Our other lawyers are also well grounded in tax law. We are recommended by Doyle's Guide to the Australian Legal Profession as a Leading Tax Law Firm in South Australia. Our advice is particularly well regarded by the accounting profession for its simplification of complex issues, practical application and our preference for plain English over legal jargon. We regularly provide written, and where required, lengthy, technical tax opinions to accountants in respect of their clients’ tax issues. We have extensive experience in advising clients on the most appropriate structure for their business and personal ventures bearing in mind, among other things, tax, stamp duty and asset protection/ risk considerations. Unlike many tax lawyers, we are also very experienced in the preparation and negotiation (with financiers and counterparties) of commercial documentation in order to implement such ventures. We have acted for a number of accounting firms and their clients in State and Commonwealth tax investigations, audits and private ruling requests. This is our moniker for the fields of law that encompass a number of overlapping areas relating to personal and business succession. For most people, estate planning has moved well beyond planning for a simple transfer of personal property. The use of trusts, superannuation, life insurance etc., together with the reality of modern financial and property arrangements and 21st century personal and family arrangements is that the transactions that occur upon death will resemble, and must be planned as, a complicated commercial transaction. Our expertise in commercial and taxation law means that we are well equipped to manage these complexities. We work closely with our client's accountants and financial advisors to ensure that our client's objectives are addressed. In addition to more complex testamentary arrangements, we regularly prepare simple wills, powers of attorney (general and enduring) and advance care directives. Our private clients include principals in professional practices, farmers and agribusiness operators and all manner of general business owners. Our clients are diverse; but they share a common view that their lawyer should be personable, efficient, accessible and accountable... and very different to the large law firm variety. 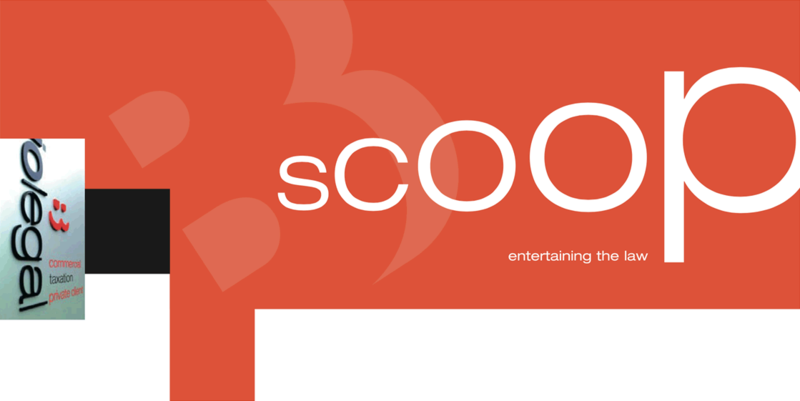 Scoop is a bulletin issued by Baggiolegal from time to time. It gives you the scoop on legal and tax issues you need to know about. Scoop is brief - it will give you the best return from any single minute of your time today. Ordering an entity is easy. If submitted correctly and paid for before 4pm, we can establish an entity on the same day. We have prepared various Guides in response to many common queries made by our clients. Our Guides are general in nature and must be read as such.They should not be acted upon without considered advice and application to individual circumstances. Please read our Guides and then contact us to discuss how we can assist you. Do I Need to Update My SMSF Trust Deed? Over the years, Andrew has developed various Andrewisms so clients can better understand the mysteries of legal services and the law. Some are original, others you may have heard before…. On purchasing on-line documents: It’s an (un)lucky dip for grownups. You pay $60. Then, when you need the document, you unwrap it and see what’s inside. What a disappointment! On self-diagnosing/ googling your legal issue: Would you self-diagnose/ google a suspicious tumour? No - you would get hold of the best practitioner you could find. So why do different for a serious legal issue? On preparing your own will: You DIY a bridge over a ravine, load your family into your car and drive over it… sound crazy? So why are you doing your own will? On litigating: Litigating is like a series of complicated and invasive medical procedures. It is a last resort. Even with the best practitioner, it is risky and the outcome is unknown. It will take longer, and be more complicated, than you can ever imagine. It will be expensive and require lengthy rehabilitation. You will spend too much time in uncomfortable, foreign environments that you do not understand. Success is often pyrrhic – what healthy organs have been destroyed in the process? Was it worth it?